We talk a lot about how spyware can be installed on devices and used to track you. And a little about tools like Facebook’s own brand ‘VPN’ service. But it’s time to look the facts in the Face. I mean that in two distinct senses. First, Facebook explicitly exists to spy on you and me. What does Facebook sell – and who’s the customer? Old time gamblers used to have a saying: if you don’t know who the mark is after two hands, it’s you. We should listen. When Facebook exploded into everybody’s lives without a clear plan for actually making money, it was obvious that one of two things would happen: either the service would demand a subscription, or it would have to sell another asset. And that asset is you. But also data about your attention. What kind of things do you tend to click on? What kind of posts do you respond to? Facebook relies on this kind of information to build a News Feed that will engage your attention. But it also relies on it to build the targeted audiences it sells to advertisers. Can’t figure out what the product is? Facebook watches everything you do and sells that information to advertisers. But everyone’s on it, and who cares, right? You don’t have to buy – or even look at the ads. Thing is, Facebook turns out to be spyware in a whole other sense too. The agent-of-a-foreign-power sense. What can you do with all that attention? Swing elections. If advertisers can buy, scrape or otherwise extract data from Facebook – which is searchable by anyone, from inside via its own search engine, or from outside via a targeted Google search, as well as by proprietary bots and bits of code – maybe other folks can too. Looking at you, Chris Wylie. It turns out that Facebook knew as much as three years ago that Cambridge Analytica had built tools to scrape massive amounts of data from the site. They’re admitting to hundreds of thousands now. 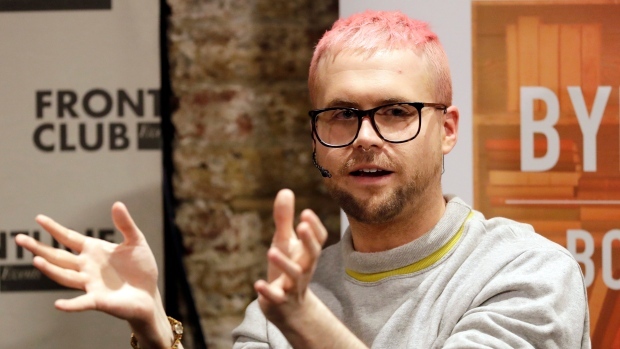 Chris Wylie – who masterminded the data end of the operation – say it’s closer to 50 million Facebook accounts that were comprehensively compromised. And Cambridge Analytica wasn’t selling shirts or shoes. They were selling what their parent company, SLC, has always sold: regime change. These companies have existed at the exact Venn diagram crossover where spy agencies, foreign military powers and ‘elected’ officials from dangerous, underdeveloped countries meet. Literally meet, in rooms, to plot how to steal elections by quasi-legal means. Chris Wylie comes right out and calls it what it is: Psyops. And this time the target is close to home. It’s us. We already know that Cambridge Analytica influenced the ‘election’ of Donald Trump. We knew he was President of the Electoral College. We suspected he was President of the FSB. But it’s still slightly shocking to find that the President of the United States is really the President of Spies for Hire, Inc.
And we know they had a hand in the shocking act of collective self-harm that is Brexit. But it’s becoming clearer just how far up, down and all the way around the tendrils reach. For instance, Trump just replaced McMasters with a new National Security Adviser, the war-mad John Bolton. John Bolton owns a super PAC. In American politics, a super PAC is an organization that can raise unlimited sums of money, then freely spend that money any way they like to influence an election, so long as they remain technically seperate from the campaign in question. Bolton’s super PAC has funnelled over a million dollars since 2014 into… Cambridge Analytica. When your data is mined, your actions spied on and your mind attacked by spooks and crooks, maybe it’s time to quit Facebook. And for the rest of the internet, get a VPN already!